At Mainline, we help put the friendly in eco-friendly with our generous labeling helpful guidelines, all detailed right here. This Lead Free logo is also listed on all our packaging, specification sheets and in our product catalog to make it easy for you to find qualifying Lead Free*products. Recently several states have enacted laws with requirements for reducing lead in plumbing products. As well, the federal Reduction of Lead in Drinking Water Act becomes effective January 4, 2014. The new federal law redefines “Lead Free” under the U.S. Safe Drinking Water Act and implements the strict regulations of California's AB1953 law and Vermont's S. 0152 bill. These laws specifically apply to pipes, pipe or plumbing fittings, fixtures, solder and flux that are used in the installation or repair of a plumbing water system intended to convey or dispense water for human consumption (potable water). By setting lead limits on fixtures with a wetted surface area containing no more than a weighted average of .25% lead, the laws virtually eliminate the lead content to convey or dispense water for drinking. Products designed exclusively for purposes other than dispensing water for human consumption are exempt from this requirement. 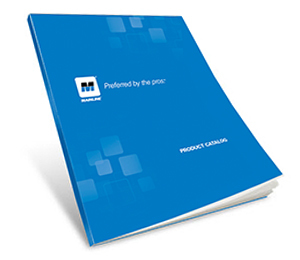 At Mainline we're happy to already comply with the 2014 law by offering Lead-Free* products. Just look for the symbol shown above left and rest easy. *Lead Free: The wetted surface of our Lead Free products that is contacted by potable water contains less than 0.25% of lead by weight. Are 20 percent more water efficient than average. Achieve water efficiency through several technology options. 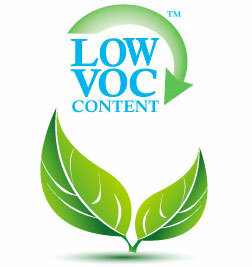 Are effectively differentiated by the WaterSense label. Have obtained independent, third-party certification. Mainline and WaterSense, helping you make every drop count. 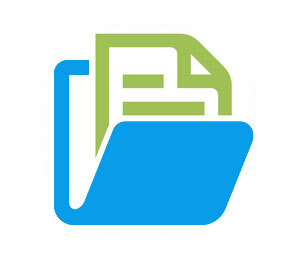 LEED®, the Leadership in Energy and Environmental Design, is an internationally recognized green building certification system developed by U.S. Green Building Council. LEED certified buildings often provide healthier work and living environments, which contribute to higher productivity and improved employee health and comfort. 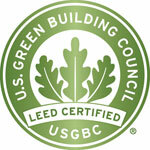 We're proud to say several of our Mainline products can help you qualify for LEED certification. For instance, the use of Mainline solvent cements and primers contribute toward satisfying Indoor Environmental Quality and qualify for LEED Credit as Low-Emitting Materials. 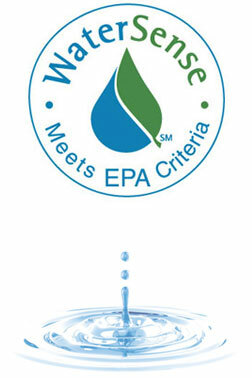 As well, use of our WaterSense labeled showers and faucets can also contribute.